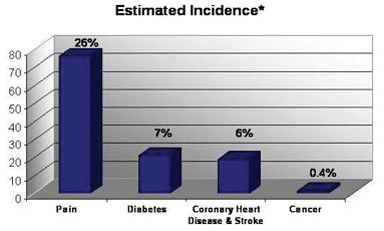 A hallmark of many chronic conditions, pain affects more Americans than diabetes, heart disease and cancer combined. Arthritis is inflammation of one or more of your joints. The main symptoms of arthritis are joint pain and stiffness, which typically worsen with age. The two most common types of arthritis are osteoarthritis and rheumatoid arthritis. Osteoarthritis is usually caused by normal wear and tear, while rheumatoid arthritis is an autoimmune disorder. Other types of arthritis can be caused by uric acid crystals (gout), infections or even an underlying disease — such as psoriasis or lupus. Treatments vary, depending on the type of arthritis. The main goals of arthritis treatments are to reduce symptoms and improve quality of life. Your backbone is a stack of more than 30 bones called vertebrae. A combination of muscles, tendons and ligaments hold these bones in place. Intervertebral disks, which rest between the vertebrae, absorb shock so that your bones don’t hit each other as you move about your daily life. The entire back works together — so, not surprisingly, when one piece of the system is affected, pain can be felt throughout the entire back. While it may be difficult to determine the exact cause of back pain, there are several likely causes. 1.) Strains and Sprains. A muscular strain is the result of injury to muscle or tendons. Strains occur in response to a quick tear, twist or pull of a muscle. Ligament sprains are stretch or tear injuries to ligaments. Sprains are an acute type of injury that results from trauma such as a fall or outside force that shift the surrounding joint from its normal position. Both strains and sprains can result from lifting something that is too heavy, improper lifting, sudden or awkward twisting of the back and overreaching or overstretching. 2.) Normal wear and tear associated with aging that occurs to the disks and bones of the spine including arthritis. 3.) Structural problems in the back including slipped or ruptured disks. Sciatica – a sharp pain down the leg resulting from a bulging disk pressing on the nerve that travels down your leg. Abnormal curvature of the spine – (for example, scoliosis), or Osteoporosis – fractures of your spine’s vertebrae when bones become brittle. 4.) Unexpected injury or trauma including car accidents, slips or falls, or sports injuries. 5.) Muscle spasms, sudden clenching or tightening of one or more of your back muscles can cause sudden back pain. Spasms can occur from overuse, overstretching or from an injury or disease. 6.) Disorders that affect the back, including degenerative disk disease, are also large culprits of back pain. Some whole body conditions, including fibromyalgia, can produce chronic pain in the back. In some cases, back pain can be a sign of another, potentially serious health condition including spinal infections, tumors and kidney problems. 7. )Lifestyle factors such as smoking, poor posture, improper shoe support, being overweight, stress, sleeping on an unsupportive mattress and pregnancy can all aggravate back pain. Treatment approaches to long term back pain include pharmacologic measures, such as analgesics, and anticonvulsants, interventional procedures, physical therapy, physical exercise, and psychological measures, such as cognitive behavioral therapy. The two most common causes of cancer pain are the cancer itself and the treatments you receive to treat cancer. 1.) The Cancer Itself. When cancer causes pain, some probable causes include the pressure of a tumor on one of the body’s organs, bone or nerves. 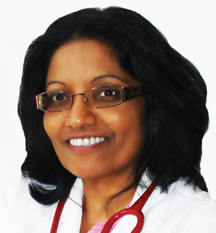 Sometimes cancer can cause pain when blood vessels become obstructed by the tumor. Chemotherapy can cause numerous side effects, depending on the medication being used. Some of the more common side effects that cause pain include: mouth sores (mucositis), peripheral neuropathy (numb and sometimes painful sensations in the feet, legs, fingers, hands and arms), constipation, diarrhea, nausea, vomiting and abdominal cramps. Some people also experience bone and joint pain from chemotherapy medications. Surgical treatments will, in some instances produce pain after they are completed. 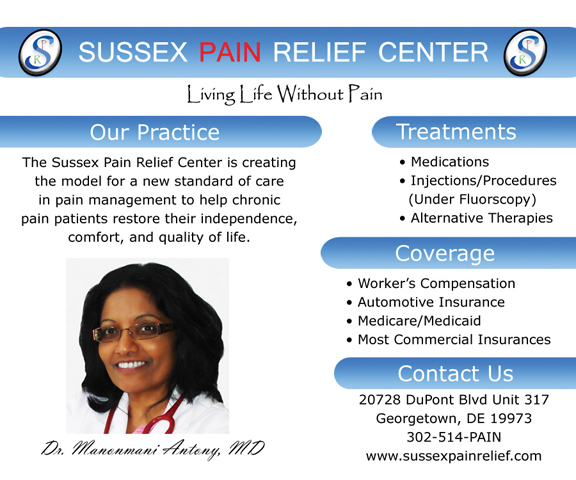 Procedures related to cancer pain, such as biopsies, blood draws, lumbar punctures, laser treatments, etc. can cause pain. Lyme disease is the fastest growing infectious disease in the United States, with an estimated 225,000+ new cases each year, according to (LDA). Often, people are unaware they have contracted Lyme disease, since ticks carrying the Lyme-causing bacteria are small, many people don’t even notice or remember being bitten. Lyme disease can affect the skin, joints, nervous system and other organ systems. About 10-20% of untreated patients will develop chronic Lyme arthritis, which can be profoundly painful and debilitating. Yet it’s been very hard to document evidence of remaining infection in the joints in these patients. Experts say that some patients with chronic pain syndromes associated with Lyme disease may develop a heightened activation of the pain pathways, sensitizing them not just to one type of pain, but multiple types of pain that lasts a lifetime.